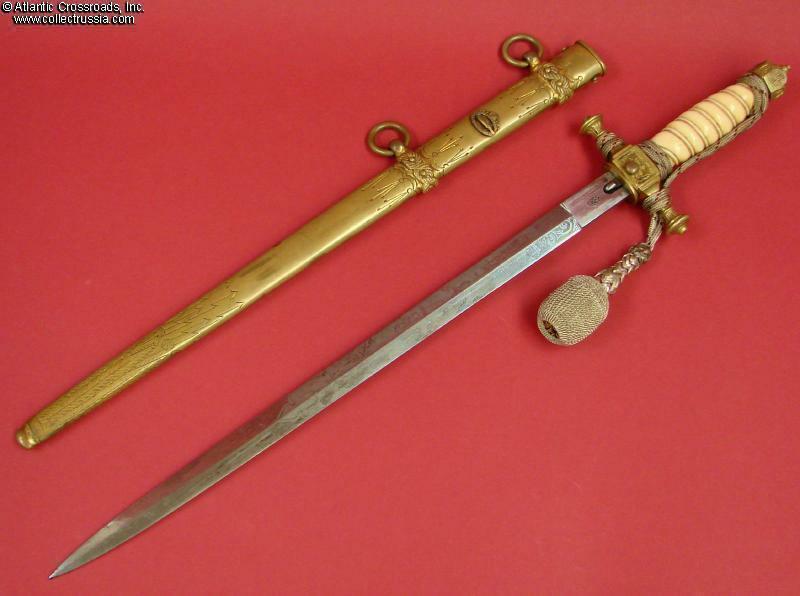 M 1890 Imperial German Navy dagger and portepee, pre-WW1 issue with added U-boat badge on the scabbard. 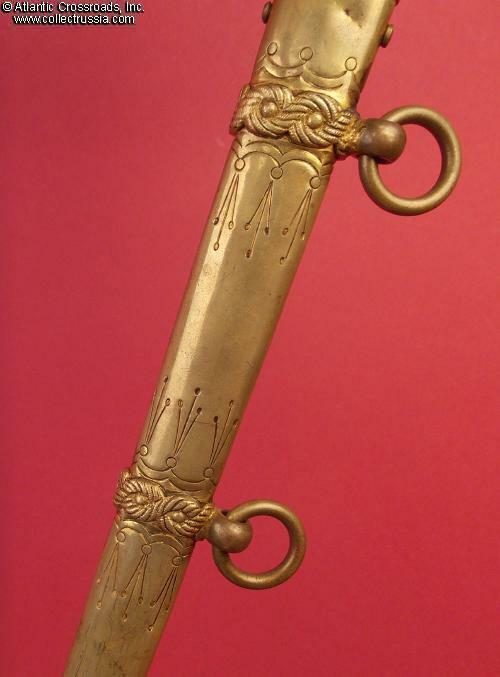 Measures 19 ¼" in overall length, a nicely proportioned piece with superb details. 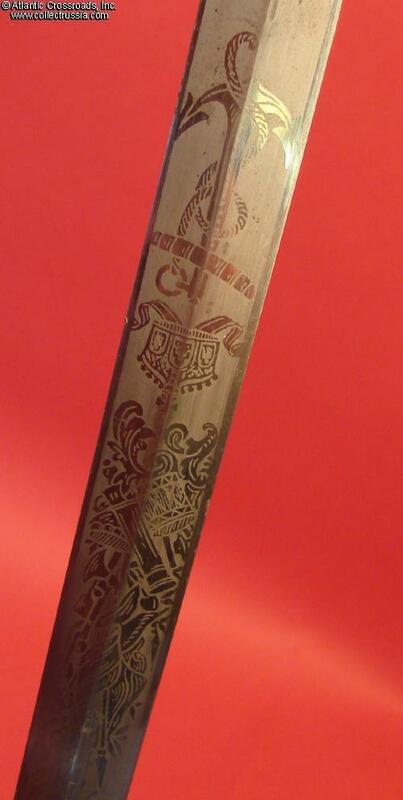 The 13 ½ " blade is beautifully decorated with traditional etched motif of arms, sailing ship, anchor and Imperial crown. 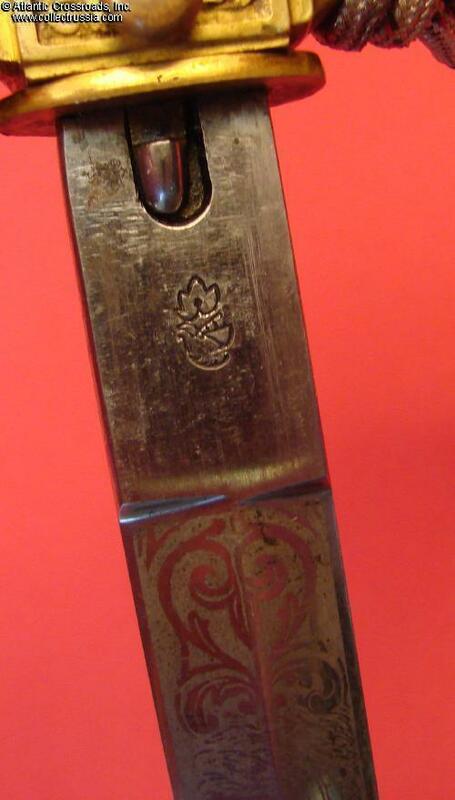 The ricasso has stamped "short necked knight" maker mark which is believed to be of pre-1912 vintage. 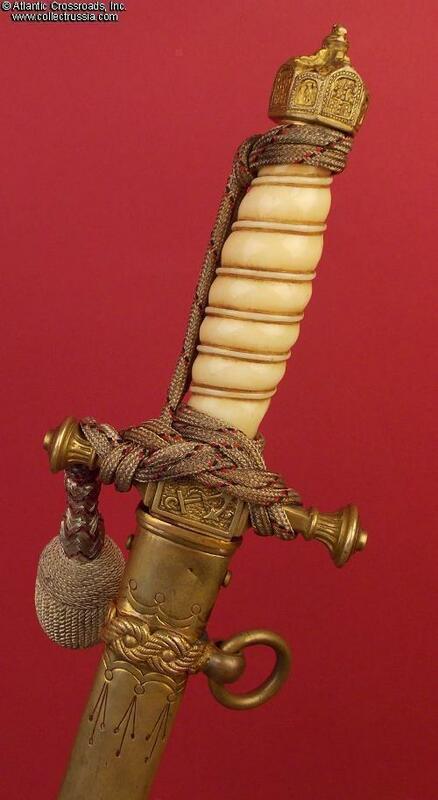 The hilt is of equally magnificent quality and elegant design, with sculptured crown pommel of the "closed" type and raised anchors in the central panels of the crossguard. 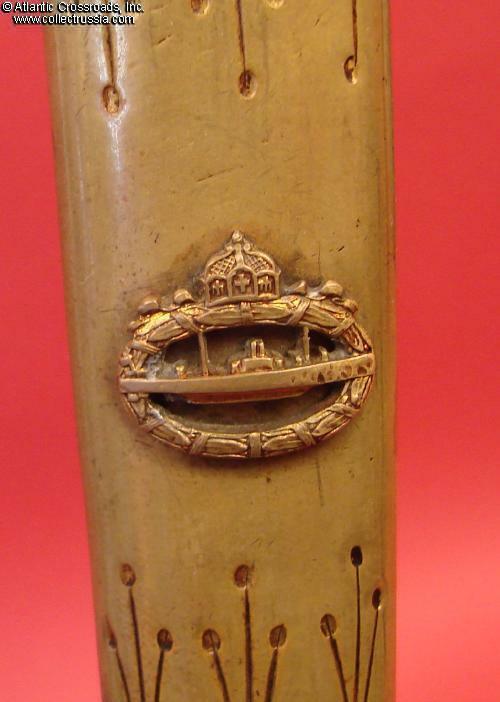 The cross-section of the guard is square at its base with rounded finials. 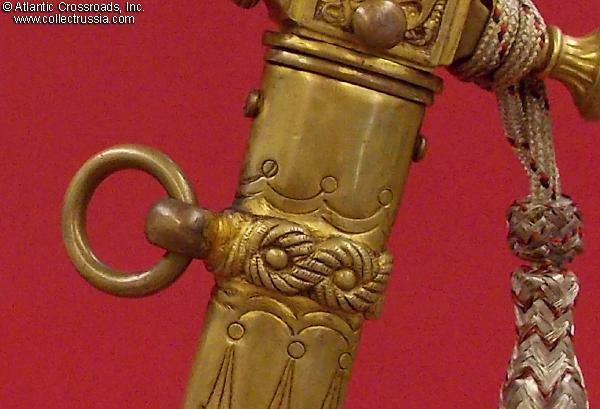 The scabbard is nicely decorated with engraving throughout and appliqué embellishments at the fitting rings. 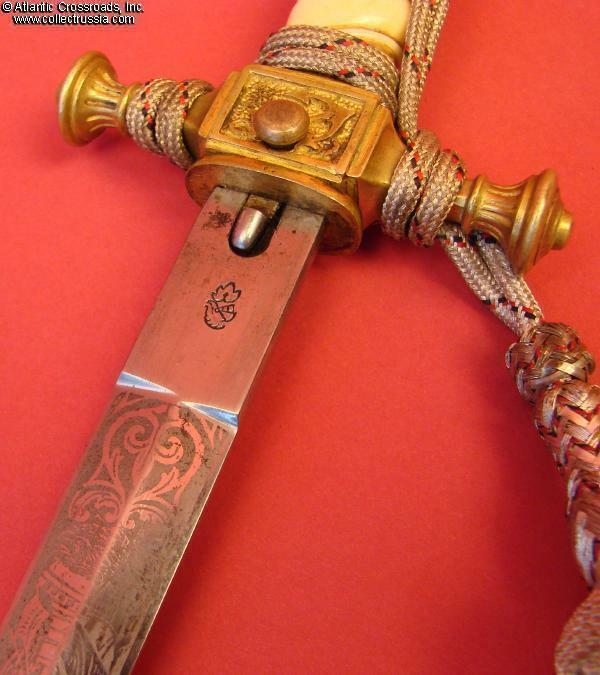 Attached to its upper portion is a gilded miniature U-boat badge which exhibits same overall quality and age as the dagger. 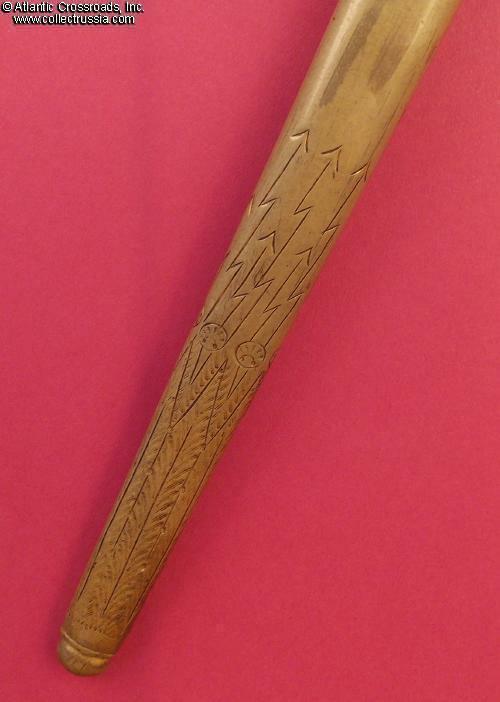 We believe that it was added by the original owner at some point during WW1, not a recent "improvement". The portepee of twisted silver cord and knot is of the period. 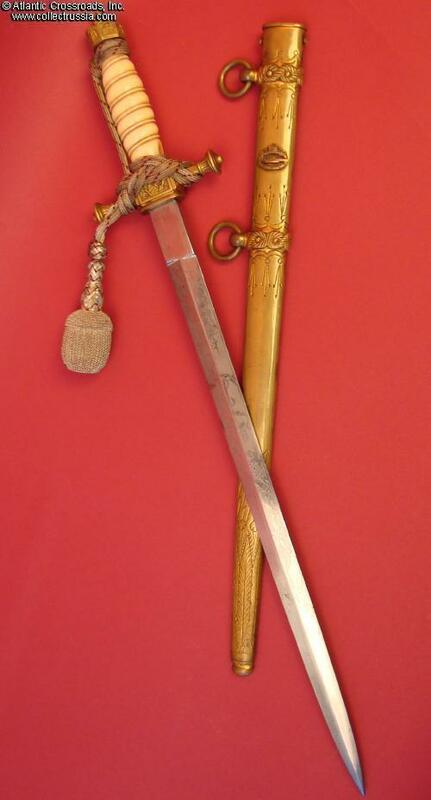 The condition of the dagger is very good to excellent. The blade is clean overall with only minimal in and out wear, a few tiny, barely noticeable nicks to the edge and a miniscule amount of pitting near the point. The etched artwork is extremely well preserved. 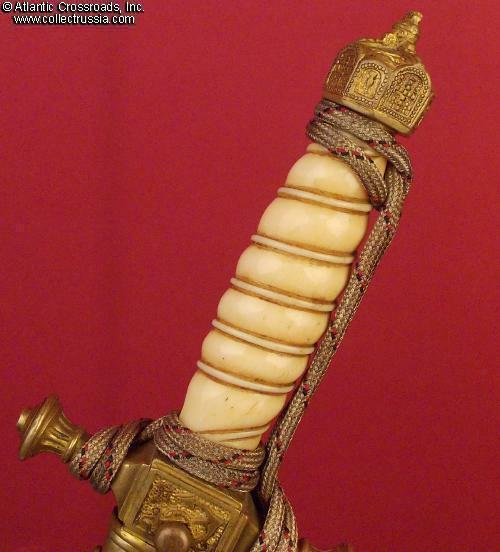 The ivory grip is magnificent, with exceptionally attractive, even age toning. The grip is free of cracks although a close examination reveals a small chip near the cross-guard - not a significant detraction in our view. 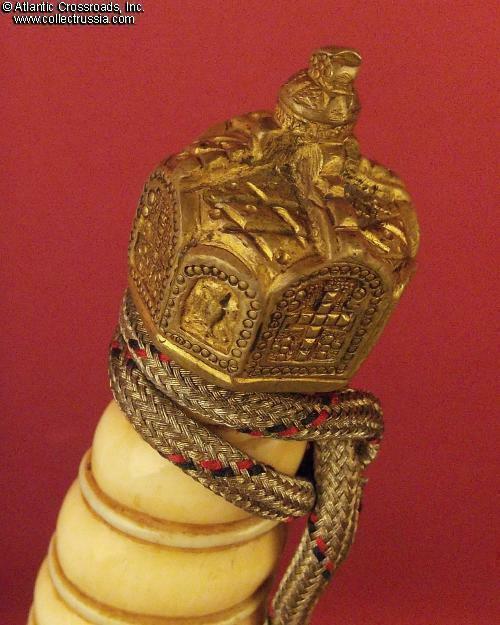 The crown pommel is likewise well preserved, free of dents or wear to details, and has only minimal oxidation; some of the original fire gilt finish is still present in its recessed areas. The catch button functions smoothly and effortlessly. 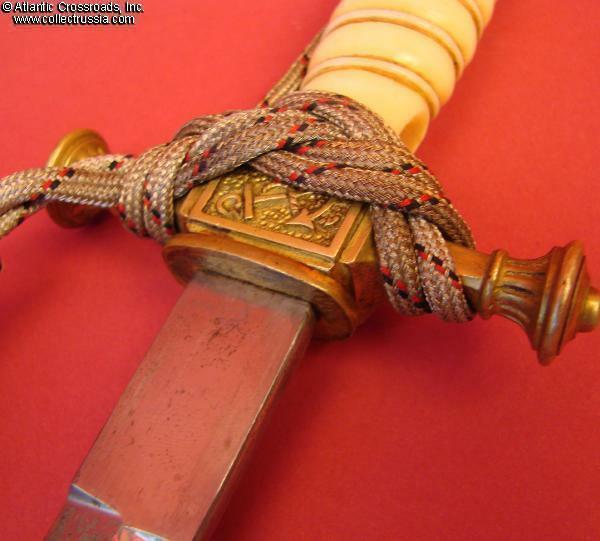 The scabbard has a single barely detectable bump in its mid section under the lower fitting and a tiny dent near the upper edge on the rear side; otherwise shows only very minor storage wear and minor spots here and there. The brass has acquired a noble tone accentuated by the original fire gilt finish remaining in the recesses of the artwork. Its overall appearance is simply outstanding. 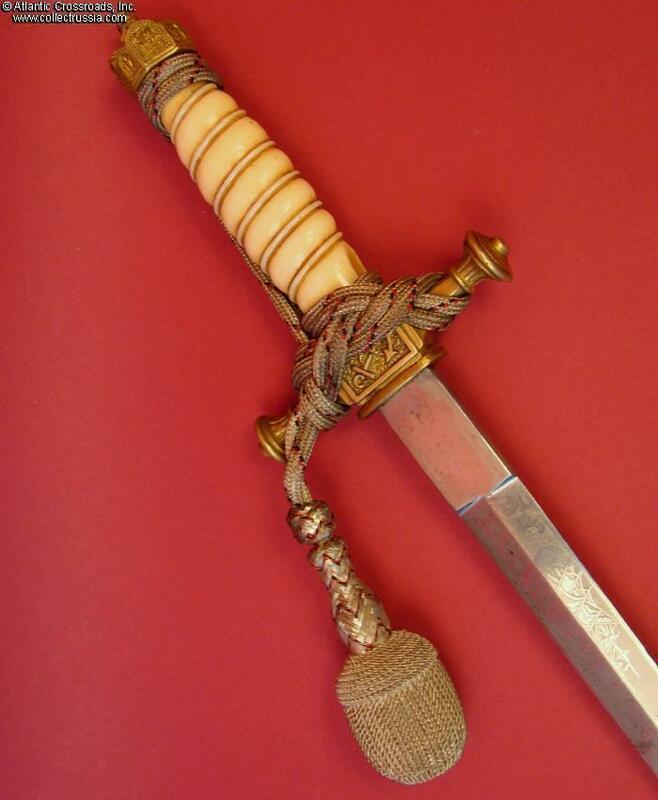 This superb Imperial dagger can be a worthy addition to even the most advanced collection of WW1 militaria, naval memorabilia or edged weapons.